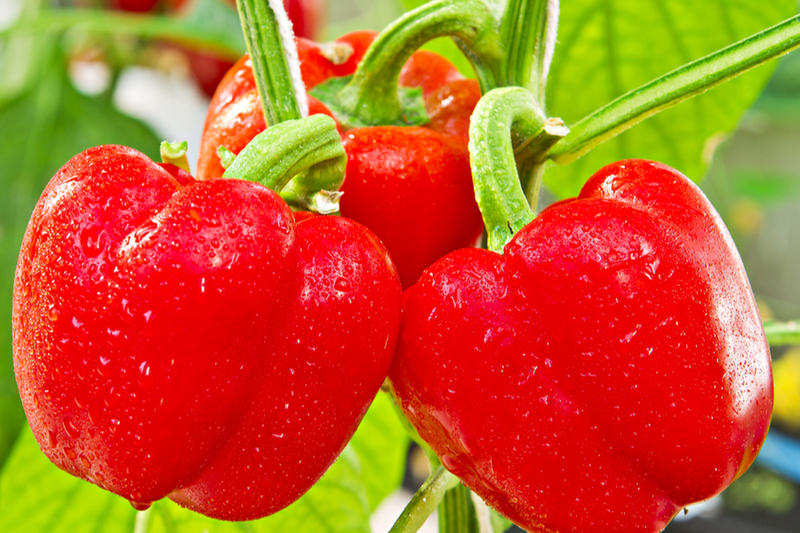 When it comes to growing sweet peppers, the choices now available are simply astonishing! It used to be that most home gardeners were limited to planting and harvesting the traditional sweet varieties of red, yellow or orange bell peppers. It was simply all you could find to plant. But those days are long gone! When it comes to growing sweet peppers, the lunchbox variety is an instant winner! With the resurgence of many old-time heirloom peppers, along with new hybrids hitting the market every year, the selection of sweet peppers available today is mind boggling! Even better, there are selections for almost any garden style – from traditional backyard gardens, to patio planters, containers, hanging baskets and more. No matter how you will be growing sweet peppers, the keys to success are the same. Peppers need well-drained, fertile soil, and plenty of regular water to reach their full potential. They also need to be picked as they ripen. Pepper plants will stop producing new flowers if a plant is too loaded with existing fruit. So to keep those peppers coming on, keep picking! With that said, here are 3 great sweet pepper selections to grow this year! This is an absolute winner when it comes to sweet peppers! Perfect for grilling, cooking, or simply slicing and enjoying! The sweet Italian Carmen bears peppers that are 6″ long and 2″ to 3″ in diameter. They grow best in a traditional garden setting, but can be planted in larger containers as well. When it comes to growing sweet peppers in any setting, the Lunchbox is an outstanding choice. It’s smaller, compact nature is perfect for planting in a container, on the patio in pots, or right in the garden. Lunchbox pepper plants grow 18 to 24″ high, and provide plenty of juicy 1 to 1.5″ long red, yellow, and orange sweet peppers. They have a small seed core, and a big crunch, making them perfect for snacking. They are also delicious in everything from salads to omelets. Much like the Lunchbox variety, they are perfect for snacking. Their stout shape however also lends itself well for stuffing with your favorite filling for an excellent appetizer. Plants grow to about 24″ in height and are filled with peppers ranging from red, chocolate, purple, orange or red. Each plant will grow one color of pepper, so be sure to plant several seeds to get a good selection of colored peppers. April 14, 2018 TIMG Comments Off on Growing Hot Peppers – The Spicy Side Of Gardening! I want to have a garden this year!. Ours has lain bare for the last two years. We have so many wild creatures around (and we do enjoy them) that they eat everything in sight (we don’t enjoy that). What can we do? Hi Mary The absolute best thing to do is fence in your garden to prevent them from entering. Depending on the type of creatures that you have you may try other tactics like lining your garden with certain flowers and/or hot peppers. We have rabbits, squirrels, possum, fox, raccoons, deer, wild turkeys, crows. They eat the blooms on the peach tree, the plum, the fig, blueberries, blackberries, raspberries, and every thing we grow for eating in the garden plot. They must be really hungry. That has to make you frustrated for sure! Only way to prevent most of the damage is by fencing and netting but that isn’t failproof.